Accidents happen. It is almost unavoidable. If you seem to be more prone to accidents, you may want to take the necessary steps in order to protect your hefty Nexus 6 investment. To do that, Motorola is offering Moto Care for Shamu, which is an extended warranty program priced at $129.99. This money will cover your device should it meet an untimely death within a two year period. However, it needs to be noted that you will need to have purchased your Nexus 6 through Motorola’s portal, and not from any other retailer. From Motorola’s site, as long as you purchased your device from Motorola within the past 30 days, you are eligible to purchase Moto Care. At first, it was unclear if Motorola was going to offer the warranty program for the Nexus 6. 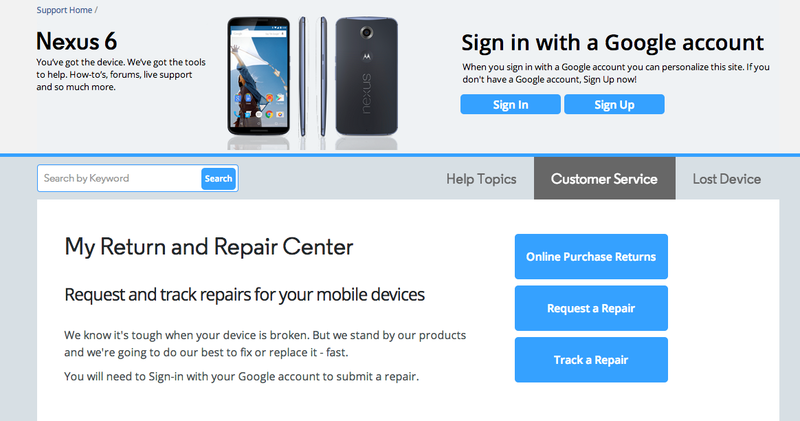 Thankfully, it is now official and information on how to repair your device through Motorola is available on its site. Moto Care Accident Protection includes accidental damage and extended mechanical coverage for two years, up to 3 claims with a low $39 deductible per claim, a just-like-new product if yours gets damaged, and customer support right from your phone. Again, the price is $129.99. When compared to the Moto X’s Care price of just $85, you may feel that is a bit unfair. However, these two devices are quite different, so the price seems justified, at least in our eyes. It has a much larger QHD display, camera with OIS, and faster chipset. It is all around a better phone on paper. Will you be purchasing a warranty?